Content: I never heard of RxGF before, but I can assure you this album is one I’ll keep in mind. Based in Seattle (USA) RxGF was been set up by John Morgan Reilly and Jonathan Plum and are joined by vocalist Angeline Schaaf. It’s not that easy to define the sound of this band as they’re mixing different styles, composing a refreshing sound, which seems to get inspired by pop, rock, new-wave, trip-pop and a few other genres for the ride. I would say in the end it all sounds like pure crossover. “Any Other Way” is the opening song revealing the great and sensual vocals of Angeline Schaaf and a real particular music featuring real drum parts and electronics. The songs also feature guitar parts adding an extra rock and new-wave touch to the work. The electronic side is however more present creating the basis of this work. It however resulted in a passionate and an electro-rock minded song like “We Will Not Be Denied.” The vocals have this magic and bewitching touch while the music is refined by great electronic treats. Angeline Schaaf is not only adding a warm and sensual flavor to the work –some passages reminding me of Dana Del Ray, but she also performs in a charismatic way. She definitely is one of the main elements of RxGF splendor. 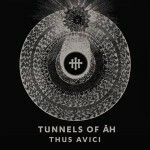 In addition, the music has this original and refreshing touch, which dares to explore new paths and this way innovating. RxGF cannot be considered as part of a particular genre, it simply is the offspring of different genres. Best songs: “We Will Not Be Denied”, “Flesh And Bone”, “The Dying Grace Of Machines”, “Things That Go bang – False Flag Mix”, Any Other Way”. 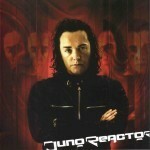 Juno Reactor flash: "I write albums more for listening and less for out and out dance floor".